After an eight-year hiatus, master author Mai Jia has dropped the spy genre entirely to focus on his vision of propelling Chinese literature to the top of the global stage, Wang Kaihao reports. Despite having his books translated into 30 languages worldwide, China's best-known spy writer Mai Jia has not published a new work in eight years. Yet his latest novel, Ren Sheng Hai Hai (Life is Like a Vast Ocean), which is due to be released in mid-April, has nothing to do with espionage. 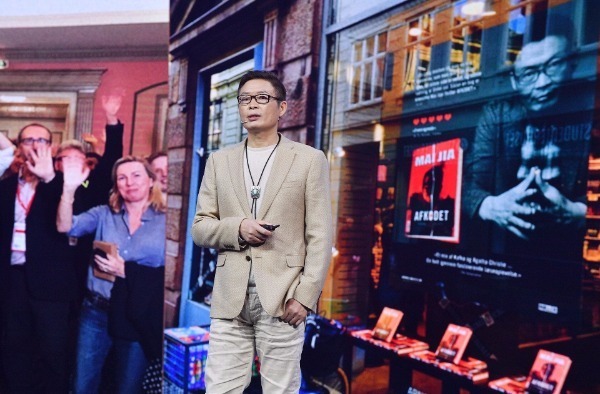 But for his new novel, Mai says he wanted to stretch himself, he tells the audience attending the Neo-Cultural Creativity Conference organized by internet giant Tencent in Beijing on March 24. "My old mother realized that I hadn't published a new book in eight years," he smiles. "She thought I was about to go bankrupt. "However, I'm bidding farewell to the spy genre, which won me huge acclaim. It's difficult to go beyond yourself, but if you keep on repeating yourself and don't move ahead, you will perish." Mai adds that the upcoming novel will explore the twists and turns in its protagonists' life and his ambivalence to identity. "The new book will try to decode human nature and people's hearts," the author explains. Yet the 55-year-old writer still managed to add an air of secrecy to the proceedings when he admitted that only 22 people had read the book so far, and revealed few details about its plot.